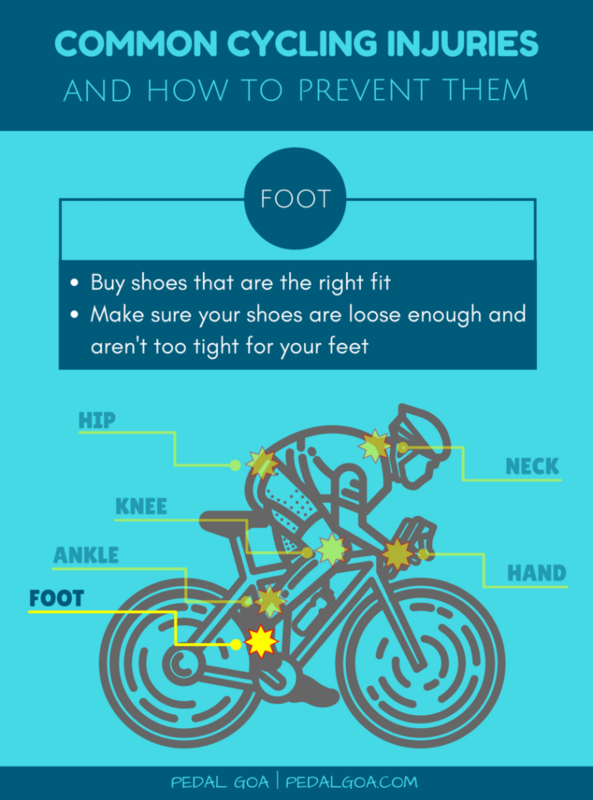 Fitness tips on Pinterest: Follow the Cycling Tips board or Triathlon Training board! This is especially true of any products, but also true for fitness programs in general, but be sure that you know how to properly use any item or equipment before using it. If you don’t use it the right way, you can end up doing yourself more harm than good! 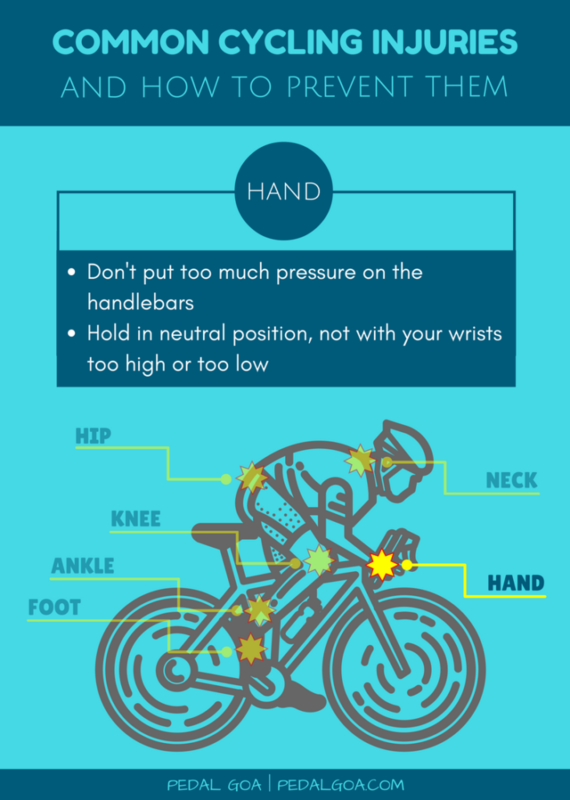 Now here we go with some of the more common cycling injuries. Many times when cyclists feel a nagging pain around their ankle, it’s the Achilles tendon. The Achilles tendon attaches your calf to your heel. Ride at a higher cadence in easier gears to reduce the pressure on your hips. A generally accepted cadence is 90+ rpm. If you’re unsure of what this feels like, and your odometer doesn’t tell you (or you don’t have an odometer! ), try to find a stationary bike to test it out on. Stationary bikes generally provide the cadence at which you are pedaling. 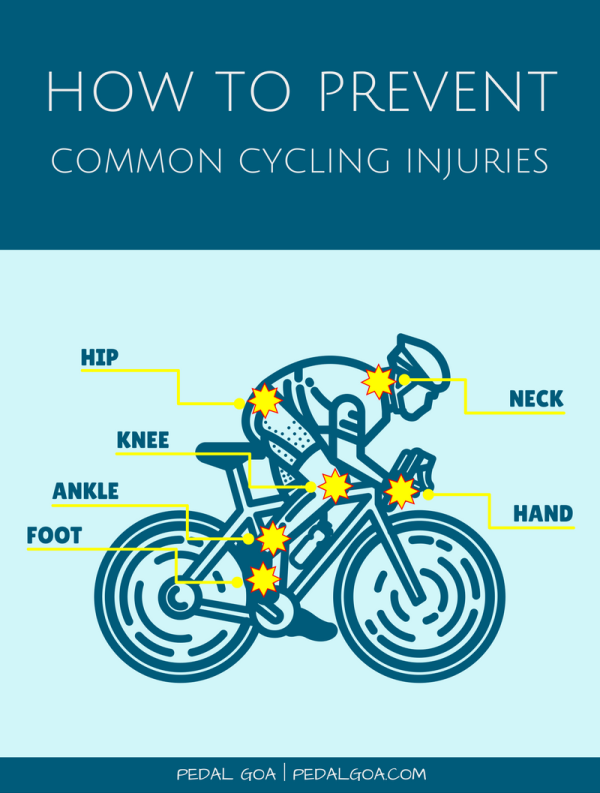 You may have noticed some common themes among preventing these cycling injuries! Increase your overall strength. Sure, riding a bike will build those leg muscles, but you also want to complement that, as well as work towards any problems with muscle imbalance. Also don’t forget about your core. Your core muscles are your foundation and assist your other muscles, including legs, in cycling. Your core also contributes to good posture on your bike, and you know good posture is also key in keeping injuries at bay!